HILLSIDE, New Jersey (WABC) -- Two New Jersey State troopers sprang into action on the Garden State Parkway to help deliver a baby that just wouldn't wait. At about 4:15 a.m. Monday, an expecting mother was being driven to Valley Hospital in Ridgewood by her husband when she realized they were not going to make it. The couple stopped on the shoulder at milepost 143.2 north in Hillside Township and dialed 9-1-1. 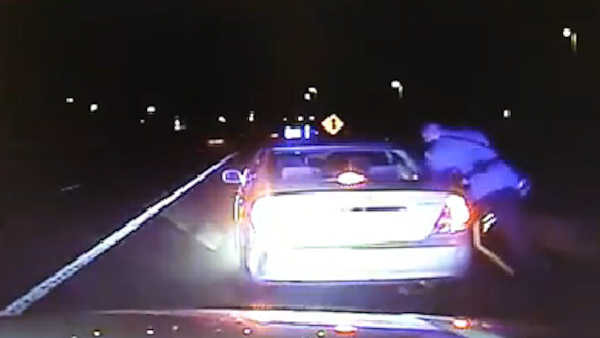 When Trooper II Alex Muro and Trooper Arnaldo Mateo arrived shortly after being dispatched, they found the mom-to-be already in labor in the back seat of the car, police say. At 4:26 a.m., Mateo was cradling a newborn baby girl. Both troopers assisted with cutting the umbilical cord before handing her over to mom. Mom and baby were transported by ambulance to Valley Hospital where they were last reported as doing well. Just last month, a State Police sergeant helped deliver a baby on the Garden State Parkway in Red Bank.